New from Dominica Post "Maria" recovery is amazing. On the plus side: PAYS is better than ever. On the minus: Ross, the medical school, is not returning. Dominica is, in many ways, the most beautiful island of the Eastern Caribbean. It is also probably the poorest. 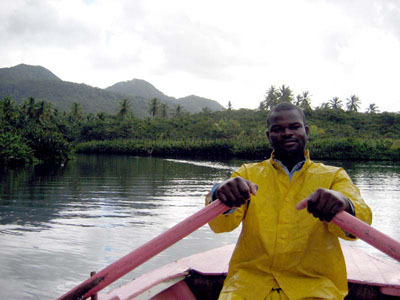 Physically, Dominica is a long, very mountainous volcanic island with plenty of water. It is an independent country with a population of about 70,000 .Known as the "nature island", it is the source of much of the fresh fruits sold on other islands. Great fish, great produce and a great market on Saturdays are all found in Portsmouth where all the cruisers are. 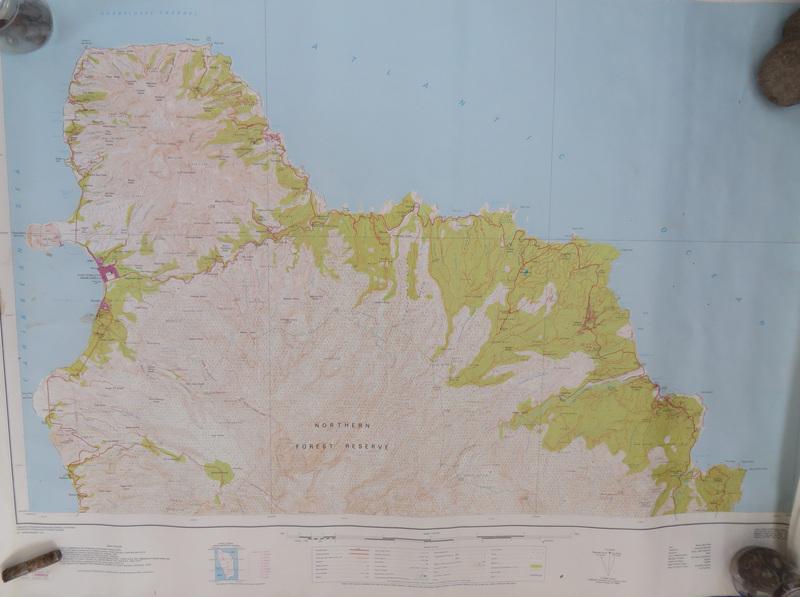 Since the collapse of bananas, Dominica's only income seems to come from a medical school, Ross, and from tourism. Dominicans are very proud of their beautiful land. It is mountainous and wet with "one river for every day of the year". There is only one good anchorage, Portsmouth as the anchorage at the capitol, Rosseau, can be very rolly. Lacking beaches for the mass tourism industry, Dominica is an excellent stop for yachties. Take some land tours hiking to the falls, look for the exotic parrots and see if the boiling lake still boils. The local talk radio is very entertaining and the saturday market is spectacular - get there early.